The beginning of the 2018 NFL season is officially a week away. The Falcons and Eagles will get the season started on September 6th. While teams are putting the finishing touches on their rosters, some players are entering a brand new system. Teddy Bridgewater is one of those players. He was recently traded by the New York Jets to the New Orleans Saints. Bridgewater is currently about to begin his fifth season as a professional. Teddy Bridgewater’s net worth currently sits at $2 million. 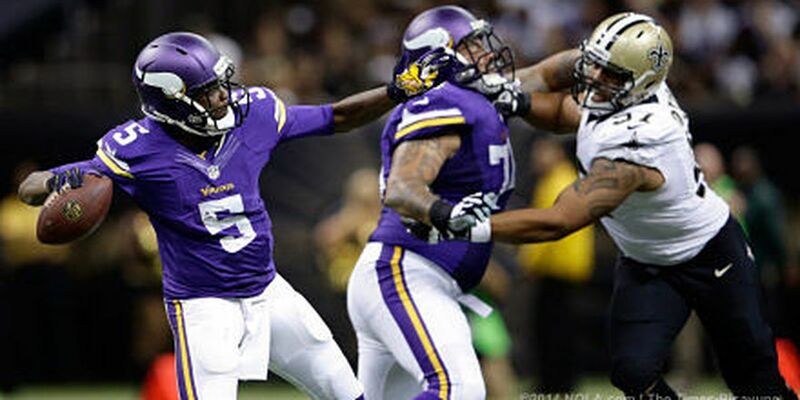 Teddy Bridgewater was the final pick in the first round of the 2014 NFL Draft. He was selected 32nd overall by the Minnesota Vikings. After being established as the starting QB in his first two seasons in Minnesota, Bridgewater had a terrible leg injury that would ultimately hinder his career advancement. Before the 2016 season began, Teddy suffered a terrible non-contact leg injury during practice. The injury was significant enough that it kept him out the entire 2016 season and virtually all of the 2017 season. Due to the injury, the Vikings declined their fifth year option on the QB. During the spring of 2018, Bridgewater was able to ink a deal with the New York Jets. His one year deal was valued at $6 million. Before even getting a chance to start the regular season, the Jets ended up trading Bridgewater to the New Orleans Saints. Teddy Bridgewater’s net worth comes mostly from his initial rookie contract. The contract signed back in 2014 paid Teddy nearly $7 million for four years. It also included a nice signing bonus in excess of $3 million. In the two NFL seasons he’s stepped on the field, Teddy has proved quite proficient. He’s thrown for over 6,100 yards passing and a total of 28 touchdowns. Additionally, he has also contributed nearly 400 yards rushing and four rushing touchdowns. Teddy Bridgewater’s net worth should increase quite a bit if he is able to complete the 2018 NFL season with the Saints. He has a number of incentives built into his contract for this season, most of which are irrelevant due to him being in a backup role to Drew Brees. Regardless, if Bridgewater can assume a solid backup role or have a chance to shine, he could be positioned for a large, multi-year contract during the offseason. Only time will tell what will become of Teddy Bridgewater’s net worth, but one thing is for sure. His resiliency shown to come back from such a gruesome injury is a strong testament to his character. Preseason is in full swing, and the 2018 NFL season is just weeks away. Excitement is already running around as people look forward to the cooling temperatures of fall and the football that comes along with it. With the season about to begin, the Washington Redskins made a move to bring back one of the top running backs. The Redskins signed Adrian Peterson to a one year contract valued at just over $1 million for the season. Adrian Peterson’s net worth currently sits at $30 million. Once touted as the most talented running back in the NFL, Peterson has struggled to find his place since a series of injuries. The former Minnesota Viking was drafted seventh overall in the 2007 NFL draft. He would go on to sign a rookie contract worth $40 million over a five year period. In each of his first four seasons in the NFL, Peterson rushed for at least 1,250 yards and ten touchdowns each season. Because of his performances, he ended up signing an extension in 2011 for $86 million over six seasons. Adrian Peterson has rushed for over 12,000 career yards and 99 touchdowns through his eleven NFL seasons. Some wonder what those numbers could be had it not been for a series of unfortunate events. Peterson played in one game during the 2014 NFL season where he rushed for 75 yards. After reports of child abuse emerged about Adrian, he would end up sitting out the remainder of the season. Determined to make a strong comeback, Peterson didn’t disappoint during the 2015 campaign. During 2015, Peterson rushed for nearly 1,500 yards and added 11 touchdowns. Although he earned roughly $12 million in cash during the 2016 season, Peterson’s on the field efforts were again cut short. This time due to a knee injury. He played sparingly in three games during the season. However, this amount of money earned definitely gave rise to Adrian Peterson’s net worth. While many believe that Adrian Peterson’s career is coming to an end, you can’t dispute the fact that he is one of the best backs to ever play. He is also one of the richest. His career on the field earnings are close to $100 million. The most of any running back to date! Although the $1 million in salary for the 2018 season won’t raise Adrian Peterson’s net worth that much, it’s his love for the game that keeps him playing. Will another contract await Peterson after this season? Only time will tell. The idea of being rewarded for your performance is nothing new. Companies give end of the year bonuses to top-performing employees. The same can be said in the world of sports. Todd Gurley is the latest recipient of a reward for his performance. After three successful seasons in the NFL, Gurley has finally received the large coveted contract. Todd Gurley net worth sits at $15 million. The number ten overall pick in the 2015 NFL draft, Gurley has made an impact in the backfield since his rookie season. As a rookie, he rushed for over 1100 yards and recorded ten rushing touchdowns. His performance during the 2015 season earned him the NFL Offensive Rookie of the Year award. Despite his production taking a substantial dip during the 2016 campaign, he rebounded well last season. In 2016 he averaged a measly 3.2 yards per rush and recorded only six touchdowns; however, in the 2017 season he rushed for a career high 1,305 yards rushing and a total of 19 touchdowns. Gurley excelled in his college days at the University of Georgia. He totaled 36 rushing touchdowns in his three years playing with the Bulldogs. His freshman year performance earned him First-team All-SEC honors. He missed a total of four games during his junior season due to violations he received over $3,000 for signed merchandise. The reason Todd Gurley net worth has shot up to $15 million is due to his recent contract. In July of 2018, Gurley signed an extension with the Rams worth $57.5 million over four seasons. This would be the largest yearly average contract for any NFL running back to date. Back in 2015 when Gurley got drafted in the first round, Todd Gurley net worth got off to a fast start. He signed a four year contract valued at nearly $14 million. Included in this contract was a signing bonus worth over $8 million. Todd Gurley’s recent contract included a signing bonus worth $21 million. Because the Rams are based in California, Gurley will be on the hook for a large tax bill. Despite the heavy taxes, if Todd Gurley is able to play through the remainder of his contract, his career NFL earnings will peak at over $80 million. While most NFL contracts aren’t played to fruition, Gurley’s $45 million guarenteed money will give him an added edge over most. It is reasonable to expect that Todd Gurley net worth could easily double over the next five years. 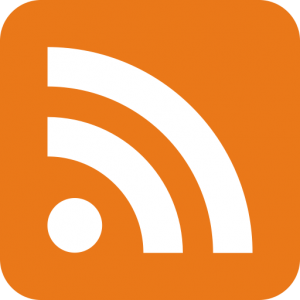 Summer is fast approaching and NFL football is many months away; however, that doesn’t mean there isn’t any news being made around the league. Teams are now beginning their summer workouts. Matt Ryan and the Atlanta Falcons, hope to return to the playoffs again this year with sights set on the Super Bowl. Matt Ryan has had quite an offseason. Matt Ryan’s net worth is now at $90 million. Most would agree that Matt Ryan is well on his way to the Hall of Fame. The Falcons quarterback just completed his tenth NFL season, all of which have been in Atlanta. A former number three overall pick in the 2008 NFL draft, Ryan has lived up to the hype. The 33 year old has thrown for over 41,000 yards and 260 touchdowns during his tenure. Although his stats fell last season, it was his 2016 Super Bowl run that helped seal him a gigantic contract this offseason. Earlier this month, Ryan and the Falcons organization agreed to a five year $150 million contract extension. This contract came a signing bonus of over $46 million. It was this bonus that helped to jump Matt Ryan’s net worth to nearly nine figures. Even though he just signed a large contract, Matt Ryan’s net worth got off to a hot start as soon as he was drafted in 2008. His initial rookie contract was worth $67.5 million for the first six seasons. Because of the consistent play he exhibited on a yearly basis, the Falcons extended their quarterback’s tenure with the team in 2013. In 2013, he signed a five year deal valued at over $100 million. After the 2018 NFL season, Matt Ryan’s career NFL earnings will top $200 million. While it may sound absurd that any professional athlete will earn so much during their career, one must remember that athlete salaries have been trending steadily upward over the last decade. One could make the point that Ryan has earned his keep. He has been named to the Pro Bowl four times, and was awarded the 2016 NFL MVP. The contract just extended to Matt Ryan will keep him in Atlanta until the quarterback turns 38. We anticipate that after the 2022 season another contract extension will be worked out unless Ryan opts to retire. If he is able to play through the end of his extension, Ryan’s career earnings will top $300 million and Matt Ryan’s net worth will easily be in the nine figure range. Jerry Rice will go down as one of the greatest wide receivers ever in the National Football League, but even Jerry won’t make as much money as the top wideouts make now. Mike Evans recently set a contract record for annual salary per season with his most recent contract, but a close second place will go to Jarvis Landry. Landry spent the first four seasons of his NFL career with the Miami Dolphins. He recently signed a massive contract and switched teams to the Cleveland Browns. Jarvis Landry’s net worth is $2 million. A star wide receiver at LSU, Jarvis played three seasons for the Tigers before declaring for the 2014 NFL draft. He was selected in the 2nd round by the Miami Dolphins. In his first four NFL seasons with Miami, Landry posted at least 80 catches and 750 yards receiving in each season. During the 2017 campaign, he set career bests for receptions, 112, and receiving touchdowns, 9. Because of his dominance early in his career, the Dolphins knew they were going to have to pay to keep their top wideout around. Miami was unwilling to open their checkbook for Jarvis, which ultimately led to him being traded to the Cleveland Browns in exchange for a couple draft picks. Not long after he was traded, Jarvis Landry signed a new long term contract valued at $75 million over five seasons. With his new contract signed, expect Jarvis Landry’s net worth to increase dramatically over the next few years. He is currently living off his initial contract which was valued at $3.47 million upon entering the NFL. He is projected to make over $15 million this season alone, more than four times the money he made his first four seasons in the league. Is he deserving of such a lucrative contract? The simple answer is yes. 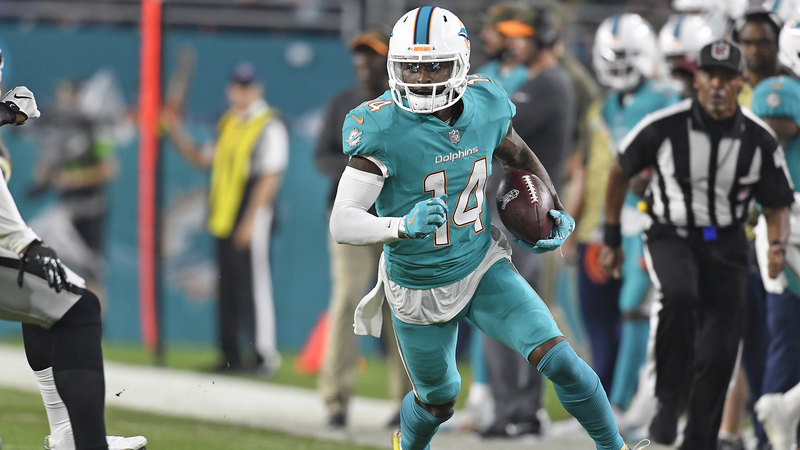 Jarvis Landry is a three time Pro Bowler, making the cut each of the past three seasons. In 2017, he led the NFL in receptions with 112. Although the Browns still have some questions around the quarterback position for the upcoming season, expect Landry to be the top target of whoever is throwing him the ball. Jarvis’ top athletic ability was seen from an early age. He was a three-sport athlete in high school and was a five-star recruit coming out. He signed with the LSU Tigers which would keep him in the state he grew up in. He comes from a family of football players and is really good friends with former LSU wide receiver Odell Beckham Jr. The Cleveland Browns have just one win over the past two seasons. Jarvis is hoping that he and a lot of young talent can help turn the organization around. While it may take a few years of development before the Browns reach the playoffs, Jarvis Landry’s net worth is making an immediate climb beginning this season. Have you ever wondered what it’s like to have tens of millions of dollars to your name? The fact is, most of us will spend our life dreaming of such a financial future but never achieve it; however, others, like Alex Smith, know all to well what the feeling is like. Alex Smith is the new quarterback for the Washington Redskins. The former number one overall pick has had an up and down career, but he has recently emerged as a solid starting quarterback in the NFL. A 13 year league veteran, Smith is entering his 14th season with his third different NFL team. Quarterback Alex Smith’s net worth sits at $45 million. Alex Smith has had a windy road to his NFL success. Originally a number one overall pick in the 2005 NFL draft by the San Francisco 49ers, Smith has overcome many struggles and injuries that he experienced early in his professional career. A star at Utah, Smith was a two year starter for the Utes and posted a 21-1 record as a starter. After being drafted by the 49ers in 2005, Smith signed his first NFL contract valued at nearly $50 million for six years. Alex Smith was never able to bring the team to prominence, and in 2012 was replaced as a starter in favor of Colin Kaepernick. The team traded Smith after the season to the Kansas City Chiefs. Smith proved himself worthy of being an NFL starter at Kansas City, where he was named to the Pro Bowl three times. Alex had to pack his bags yet again earlier this year as he was traded off to the Washington Redskins who had just lost their quarterback. However, with his new team came a new contract. Alex Smith recently just signed a four year deal valued at $94 million. The contract included a $27 million signing bonus along with a total of $55 million guaranteed over the first two years. Even if Alex is only able to play two years with the Redskins, we can expect quarterback Alex Smith’s net worth to increase to over $60 million. Alex Smith’s career NFL earnings have already topped over $100 million. If he is able to complete the contract he just signed with the Redskins, his career earnings will more than double. Over his past five seasons in Kansas City, Smith has proven to be a reliable starter. During that stretch, he has thrown a total of 102 touchdowns to just 33 interceptions, one of the best in the league over that span. On a personal note, Alex is married with two children. In 2007 he started The Alex Smith Foundation which aims to provide foster teens opportunities to transition into adulthood. In professional sports, salaries keep going up and up each and every year. Whether it’s in the NBA, MLB, NHL or NFL, professional teams are making their athletes richer than ever before. Jimmy Garoppolo is now the newest recipient to join this club thanks to his most recent contract. Jimmy had been a long time backup to future hall of famer Tom Brady, but during the 2017 NFL season, he got traded to the San Francisco 49ers. Once being traded to San Francisco, Jimmy helped lead the team to five straight victories to finish the season. The momentum the team finished the season with was enough for them to extend him the highest valued contract in NFL history to its point. Jimmy Garoppolo’s net worth currently sits at $1.5 million. To say Jimmy’s new contract is massive is an understatement. The contract is valued at $137.5 million over five years. This comes out to an average annual salary of $27.5 million per season. So if Jimmy just signed this large contract, why is his net worth just north of $1 million? That is because he has been living off his initial contract he signed when he got drafted in the second round by the New England Patriots. Jimmy’s first contract was for $3.5 million over four years. However, just after one full season with the 49ers, we can expect Jimmy Garoppolo’s net worth to jump to a staggering $15 million. This is because his new contract includes a $35 million signing bonus that he will receive once his contract takes effect. Garoppolo played in six games for the 49ers during the past season. Although his numbers weren’t impressive statistically, the winning nature he brought to the organization is what ultimately scored him his big deal. He threw for seven touchdowns and five interceptions over the stretch, but led the team to three wins over playoff contenders. It was clear that Jimmy was ready for his time to shine. He spent the first nearly four years of his NFL career playing in a backup quarterback role for the New England Patriots. The most action he saw during any season came in 2016 when he filled in while Tom Brady was serving his suspension. Drafted 62nd overall in the 2014 NFL draft, many believed that Jimmy was destined to be Brady’s replacement when he retired; however, that time never came. The way Jimmy’s current contract is structured gives San Francisco the option to cut ties with the up and coming QB after three seasons if things don’t pan out. Garoppolo’s contract has over $74 million dollars of guaranteed money. If he is able to complete all five years on his contract, we can expect Jimmy Garoppolo’s net worth to increase to nearly $50 million. With so much money, one has to wonder, will Jimmy be budgeting the way he used to? We have officially arrived at Super Bowl week. The game, which is on Sunday, February 4th, features the Philadelphia Eagles and the New England Patriots. Super Bowl LII is sure to be an exciting affair. The two teams previously met in Super Bowl XXXIX back in 2005 where the Patriots were victorious. With all the hype surrounding the Super Bowl, there are bound to be numerous parties all over to celebrate the big game. Some will go to their local bar to watch it, some will go to house parties to watch it, and others will be hosting a party to view it. So if you are in a hosting position, what’s the best way to go about it? Below are three ways to host a Super Bowl party on a budget. A Super Bowl party on a budget isn’t complete without drinks, more specifically, beer. While purchasing beer for the entire party might be a little costly, there are some ways around it. A 24 pack of Bud Light or Coors Light should be sufficient for the party as long as you encourage your party guests to bring their own beverages of choice. Bud Light and Coors Light scream SUPER BOWL, especially with Budweiser’s ties to past Super Bowl commercials. You can also go spend about $8 or so on a number of two liter sodas. Ultimately you should be able to purchase a plentiful amount of beer and sodas for your party for around $30. Chips and salsa are a staple of any Super Bowl party as well, but won’t be sufficient to feed all of your guests. That’s why you should encourage your guests to bring a small dish. If most bring a small dish, then you will have more than enough food to supply all hungry appetites. As a host, you yourself should cook a dish or provide some ample amount of food like pizza. Many national pizza chains run specials around the big game. Just make sure you order ahead of time and try to carryout beforehand if possible. All in all you can purchase about three medium sized pizzas and chips and salsa for around $25. You are more than welcomed to use your fine china, but disposable cups and plates are the easiest way to go when it comes to hosting a Super Bowl party on a budget. You can buy all of the necessary items, cups, plates, and utensils for around $10 for the whole party. The best part is that when it comes to cleaning up after the big game all you have to do is toss everything in the trash. Hosting a Super Bowl party is a time honored tradition, almost as important as the game itself. Whether your team is playing or not, these simple tips above can ensure that you and your guests have a wonderful time watching the game, the commercials and all that comes with Super Bowl Sunday. The 2017-2018 NFL season came to an abrupt end this past weekend for the New Orleans Saints. They appeared to be well on their way to a victory and play in the NFC Championship game until the Minnesota Vikings scored a touchdown on the last play of the game. The Saints were led by stellar quarterback play in the second half from their leader Drew Brees. Brees just finished up his 17th season in the NFL. The majority of his career has been spent in New Orleans. The completion of this past season has made Drew Brees a free agent, but many expect for the Saints QB to return. Due to his successful NFL career, Drew Brees net worth sits at $80 million. Drafted in the early second round of the 2001 NFL draft, Brees spent the first five seasons of his NFL career with the San Diego Chargers. The Chargers selected Brees after a successful college campaign he had at Purdue. A three year starter, Brees threw for 90 touchdowns and nearly 12,000 yards during his college career. Upon being drafted in 2001, Drew Brees signed his first NFL contract which was for four years and worth $3.6 million. Solid play eventually led him to reach a deal with the Saints after his fifth year in the league. This deal and subsequent deals would eventually lead to the rise of Drew Brees net worth. Brees has had a very successful NFL career to say the least. He led the Saints to their first Super Bowl in franchise history in Super Bowl XLIV and was named the MVP. He is an 11-time pro bowl selection to go along with a plethora of other awards from the league including the Walter Payton NFL Man of the Year award in 2006. He is currently third in all-time passing yards with over 70,000. He will most likely gain the lead if he is able to play at least one more season which he plans to do. His 488 passing touchdowns tie him for third all time. Because of his on the field success, the majority of Drew Brees net worth comes from his NFL earnings, which are nearing $200 million. If he hopes to eclipse the $200 million mark for net earnings he will have to ink a deal this offseason. 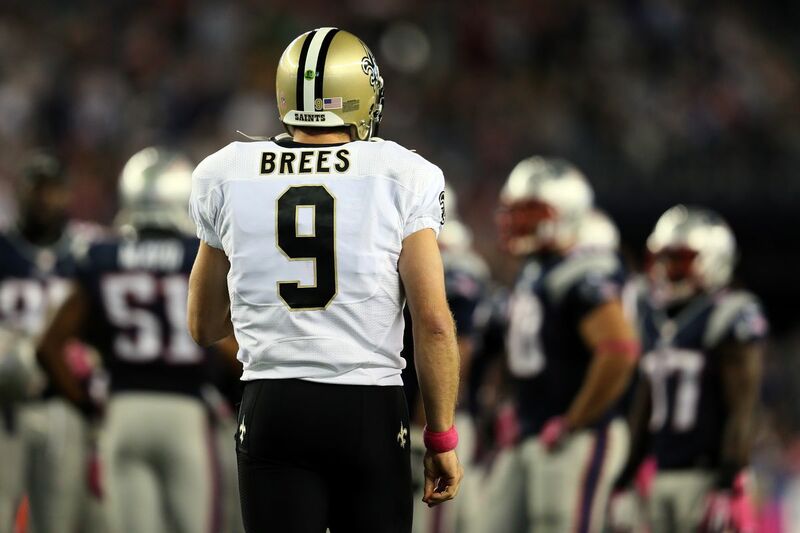 Brees is currently an NFL free agent, but many expect him to resign with the Saints sometime in the near future. Brees is married to his college sweetheart and the couple has four kids together. Brees and his wife are very involved with the New Orleans community and in 2003 they established the Brees Dream Foundation. The foundation does a number of charitable acts including support for cancer patients and also helping with rebuilding efforts after Hurricane Katrina. As the NFL regular season comes to an end some teams are busy fighting for a playoff spot; however, one team that isn’t in the playoff hunt is the Dallas Cowboys. After showing much promise during the 2016 season, the Cowboys took a step back in 2017. Their top receiver, Dez Bryant, has also taken a few steps back in recent years. Slowed down by injuries, Bryant hasn’t recorded a 1,000 yard season receiving since the 2014 season. Despite his struggles in recent years on the field, Dez’s bank account probably isn’t suffering too much. Dez Bryant’s net worth is $20 million. A first round draft pick during the 2010 NFL draft, Bryant got off to a hot start in his professional career. His rookie season included over 500 yards receiving and six touchdowns. He continued to develop as an NFL threat and posted nine touchdowns and nearly 1000 yards during his second season with the Cowboys. Over the 2012 to 2014 NFL seasons Dez Bryant solidified himself as one of the top receivers in the league. He posted at least 1200 yards receiving and twelve touchdowns each season during those three years. It was these dominating numbers that justified the Cowboys extending a $70 million contract over five years to the big wideout. Although small compared to today’s professional sports standards, Dez’s first contract with the Cowboys was worth $11.8 million over five years. This initial contract included a signing bonus of nearly $2 million. Had Dez not had the success he showed during the first five seasons of his NFL career, then Dez Bryant’s net worth wouldn’t be anywhere near the $20 million mark it is today. The Cowboys did decide to reward Dez for his on the field efforts during the 2015 offseason. They extended him a $70 million contract where the total guaranteed amount was $45 million and a signing bonus of $20 million; almost double of his entire first contract. Injuries have plagued the superstar in recent years since signing the big contract. In the past 3 seasons, Bryant has failed to post a single 1000 yard or ten touchdown season. Bryant is expected to earn a salary of $12.5 million per year over the next two years of his contract. It will be interesting to see where the Cowboys will go with their franchise receiver. The majority of Dez Bryan’ts net worth comes from his NFL salary, although he does have a few endorsement deals that do add to it. Before making it big as an NFL superstar, Bryant was born and grew up in Texas. An incredible athlete in high school, Bryant was a top football recruit who eventually landed a scholarship to play at Oklahoma State. His college football career ended abruptly after it was shown he failed to disclose to the NCAA contact he had with Deion Sanders. Regardless of his ineligibility, it was clear Bryant was a star as he posted fantastic numbers during his sophomore campaign.